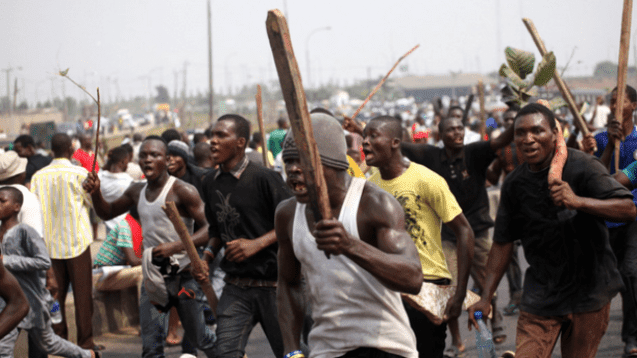 Seven persons were killed, yesterday, while 15 others were injured, as Christian and Muslim youths clashed at Kasuwan Magani, Local Government Area of Kaduna State. The clash was over forcible conversion and dating of girls of opposite faith. Several houses were also set ablaze in the bloody clash. There were rumors of an attempt to forcibly convert some Christian girls who were allegedly taken to the residence of the local chief. . A statement by his spokeman, Samuel Aruwan, said while condemning the incidence, Governor El-Rufai expressed his sympathy to those affected by the incidence. The governor urged all citizens and communities to reject violence and division, and uphold their neighbours in peace and harmony.